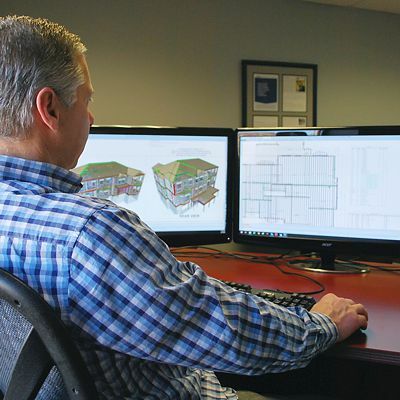 This state-of-the-art software enables National Lumber's designers to collaborate with builders, architects and structural engineers to supply virtually error free projects. National Lumber produces a three dimensional structural model of the customer's project by importing the architect or engineer's two dimensional design into MiTek SAPPHIRE™ and resolve any structural issues before materials are shipped to the job site. The SAPPHIRE™ suite is able to import and read CAD files from platforms such as, Autodesk Revit Architecture and Autodesk Revit Structure as well as AutoCAD® Architecture, SoftPlan, Digital Canal, Cadsoft™ Envisioneer™ and PDF files. The drawing can then be shared with anyone using the free MiTek SAPPHIRE™ Viewer available for Windows or Apple platforms. 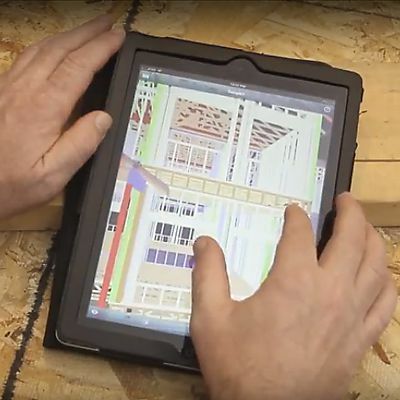 Using a smart phone, tablet, or laptop, a framer on the job can scan a QR code on a layout provided by National Lumber and download a three dimensional model of the project to clarify any questions he or she may have during installation. 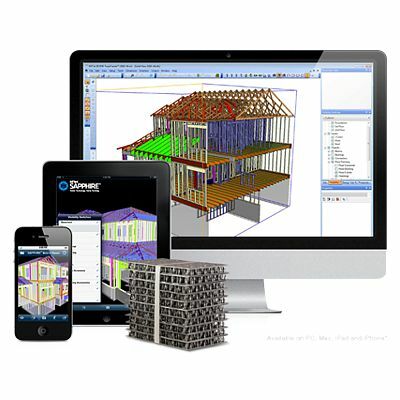 • Quickly review SAPPHIRE™ Structure models in Plan and 3-D views using zoom and pan. • Isolate items to view in the model such as a particular level or layer. • Print plan, 3-D, and elevation views.